All posts by Jason D.
Introspective extrovert, physicist, guitarist, and teacher. I write about being kind, music, books, and the intersection of energy issues climate change and poverty. I love board games, guinea pigs, swing dancing, and music with guitar (often classical guitar). In Calgary we buy tickets to get on the train and then someone who works for Calgary transit will occasionally check to see if people have tickets (very Canadian!). Today, I was running to catch a train; I needed a ticket and someone gave me his. This saved me ~$3 and more importantly let me catch the train and go home. It had been a long day and I needed to go home. This is the kind of generosity that I find easy to overlook. It’s small, but it was exactly what I needed (I was also tired, which makes it harder to be grateful). 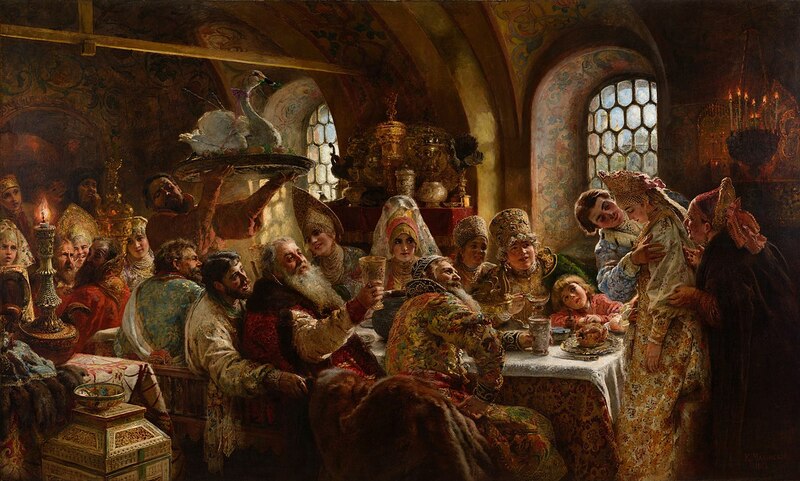 It amuses me to think that what I want is extravagant excesses, however as the old English proverb says: “Enough is as good as a feast.” This holiday season I can be a bit jealous of the Muscovite Boyer bride in the picture below. There are many reasons that Muscovite Boyer bride might not be happy. Would too much really make me happy? Hmm. What can I do to help me see that I have enough for today? In the previous post, I talked about the benefits of being sensitive, there’s a closely related idea that I want to talk about, brittleness. Brittle: inflexible, shattering. hard but liable to break or shatter easily. (of a sound, especially a person’s voice) unpleasantly hard and sharp and showing signs of instability or nervousness. (of a person or behaviour) appearing aggressive or hard but unstable or nervous within. It’s interesting to note that the dictionary lists relaxed as an antonym. I am also brittle, and I think that’s bad. I’m brittle wherever I’m inflexible. Brittle is where I’m not being kind to myself (or anyone else); instead, I demand that the universe be the way that I want it to be so that I can feel OK. Whenever I expect the world to accommodate my feelings, I’m being brittle. Places where I’m sensitive rapidly become places where I’m brittle. What makes the difference? Well for me, it often becomes a question of how full is my gas-tank? When I take care of myself I’m less brittle. There’s an interesting mental trap here that I fall into though: because I can make myself less brittle with self care, I expect myself to overcome being sensitive. That isn’t the point, but my mental circle on that one is a tight orbit that’s hard to escape. Kindness towards others can help my brittleness, kindness towards myself can allow me to accept my hurt. Both are needed to keep me from shattering. I have long been paranoid about being sensitive. In this post and the next, I want to try to distinguish between two ideas: sensitive and brittle. I’m the sort of person who actually does watch for trigger warnings because, well, I react to certain topics very poorly. I appreciate having when people are being courteous about topics that I may react to. easily damaged, injured, or distressed by slight changes. (of a person or a person’s behaviour) having or displaying a quick and delicate appreciation of others’ feelings. kept secret or with restrictions on disclosure to avoid endangering security. In order for me to appreciate the feelings of others I have to be sensitive. This leads me to the strange conclusion, since I want to be able to do that, I want to be sensitive. The same pieces of me that allow me to appreciate another person’s feelings are the pieces of me that can get hurt. The same pieces of me that need to be kept secret in some situations are good to keep secret sometimes because they can be hurt, and they are valuable. This means in order to be sensitive to the feelings of those I care about, I must respect my own sensitivity. Tune in soon for a quick essay on being brittle (which is a closely related but different idea). If there is interest , I’ll also write my views on the difference between tough and resilient. How do you maintain the ability to be sensitive to the feelings of others? I have a tendency to hate my needs. I don’t like admitting that I need things. I believe that admitting that I need things is the same as admitting weakness, or some deficiency in my character. I do need things, oxygen, water, food, shelter, safety, a feeling of purpose, sleep, rest (not actually the same thing as sleep), recreation, fun (and many more). Each of these is like a gas tank. If I let one run out, then my engine doesn’t run properly. I can, for a little while, borrow from one gas tank or another to tide over the low tank. There’s a cost. I feel ashamed to have these needs, which is strange, because we all do. Worse, it’s counterproductive because the more I refuse to admit that I have needs, the more my needs control me. It’s a paradox: the more I embrace my needs, the less control they have. How do I make sure that those needs are met appropriately? How does ignoring my needs affect my attitudes towards others? When I believe that there is ‘enough’, I find it easy to be generous. If I believe that I live in a world of scarcity, then I get miserly. People have been struggling with this for a long time. 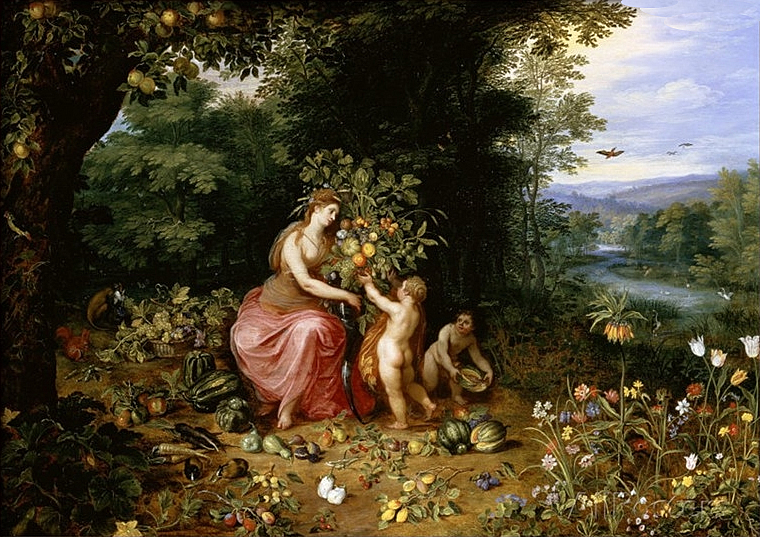 It’s funny how pervasive this is; Jan Brueghel the Younger painted about this in the 17th century. If I believe that there’s enough success to go around, then I celebrate the success of others. If I believe that there is a limit to the number of people who can be successful, then I get paranoid about anyone else (even people I care about) being successful. When someone says something nice about me, my interpretation of what they’ve said seems to depend on how much seems to be riding on them approving of me specifically. Food, love, safety, feelings of well-being, friendship, professional accomplishment, wealth, the esteem of others; all of these diverse things that I want suffer from this phenomenon. Do others notice this response to scarcity in themselves? When do I believe that the world is abundant rather than fundamentally scarce? How can I make it easier to believe in this abundance? If someone finds out does it count? One of the things I learned as a spiritual exercise years ago was that I should do nice things for people and not get found out. This got me thinking of doing nice things because I wanted to be nice, rather than I want others to think I’m nice. This has been an important distinction. On the other hand, in trying to write about being nice, and the world seems to really need people focusing on being nice, does this become a reason to tell others when I’ve been nice? In short, if I write about it here, am I still being nice just to be nice? Or does it go back to stroking my ego? In the process of thinking about setting this up I talked with one of the people here about the need for ‘activist cookies’. I need (and I suspect many other people need) some sort of feedback, or social normalization about kindness. Sure, I should want to do these things even if no one ever finds out, but if I want to encourage society to change to be nicer, then the kindness of others should be shared. Somehow. So I don’t know what to do. Help? I regret to admit that my knee jerk response to the world is to say that there exists a fundamental right and wrong in the universe. Of course, when I’m wrapped up in myself, this right and wrong corresponds deeply with my own prejudices. I believe in God, and I when I’m not careful I believe that God is exactly like me only bigger and craftier. It becomes easy for me to believe that God has all of my enemies lined up to be taken down. When I’m feeling better I believe in a caring deity. Oddly, believing in a caring deity seems to help me feel better too. I seem to do better with that when I’m in a community. Focusing on others, like the simple question: “How can I be of service?” Is helpful for me to break out of the mindset of God’s prejudices. Being of service allows me to feel connected with other people. Then the challenge is, how do I remain willing to be of service? How have you been willing to be of service? How do you keep yourself willing? I’m hoping others can share their experience with this.